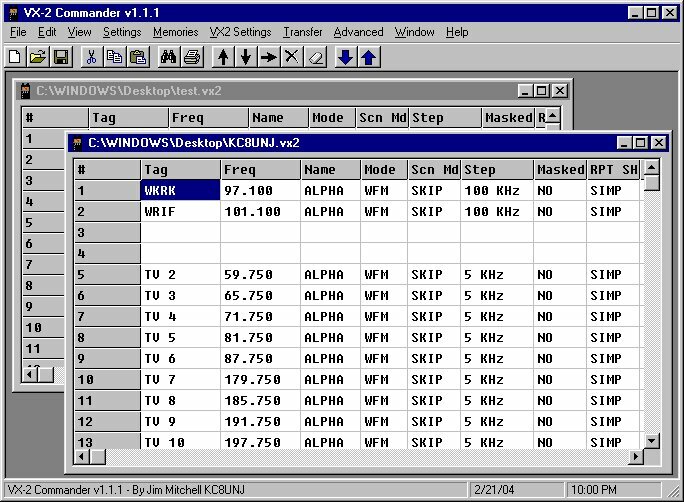 Programming software for the Yaesu VX-2 and VX-2R. Please read the readme file before using this software. If you use and appreciate my free software and would like to make a donation, you can do so through PayPal. Donations are by no means required, but they are appreciated.